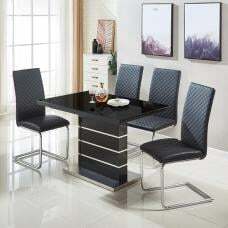 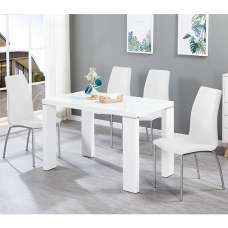 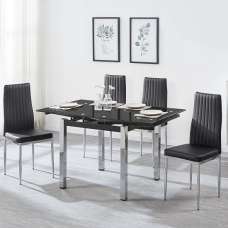 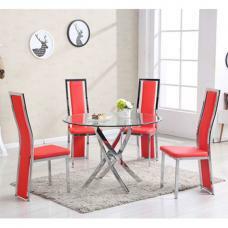 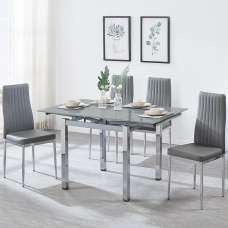 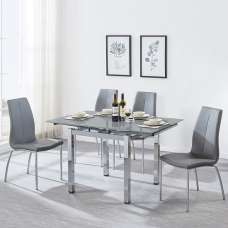 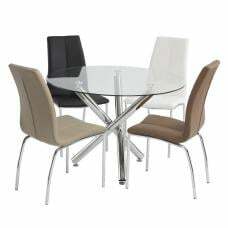 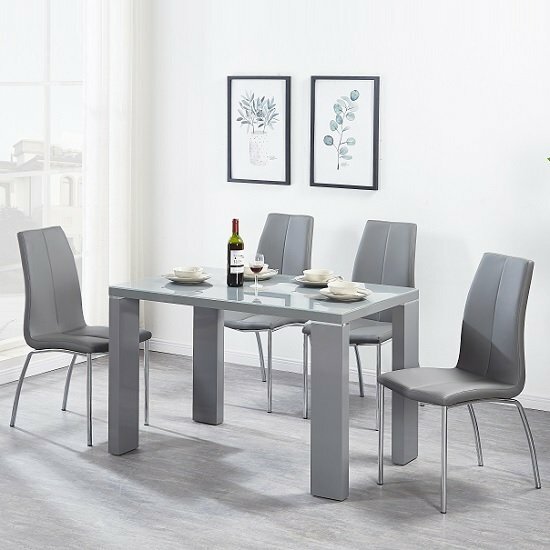 Enzo Glass Top Rectangular Dining Table Small In Grey With High Gloss Legs With 4 Opal Grey Chairs, It will definitely make an impressive as well as trendy addition to your family room or dining room. 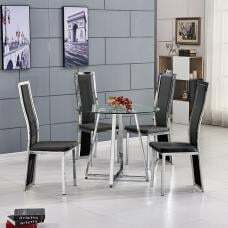 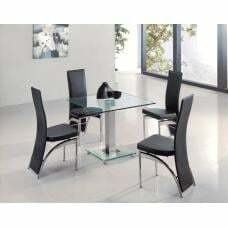 It is supplied with tempered safety glass top, Grey high gloss design, rectangular top and robust legs support that can easily match with any décor. 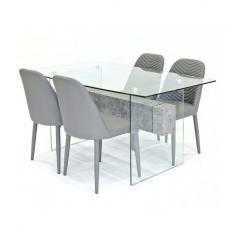 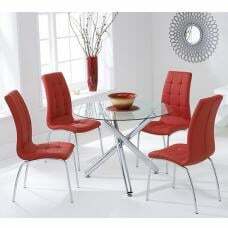 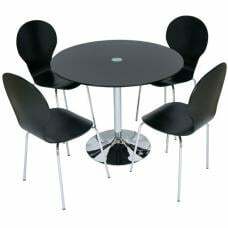 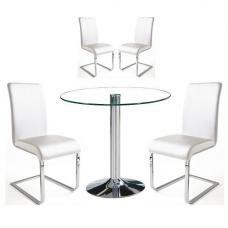 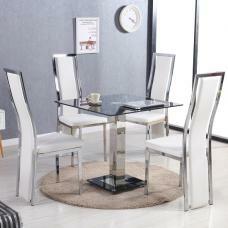 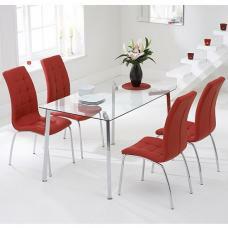 The shape and the style of this dining table can give a luxurious feel to any home decor.